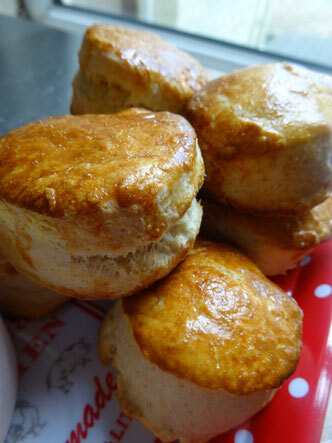 I've tried lots of different recipes for scones over the years but this one works every time, not only is it easy but it uses basic ingredients! 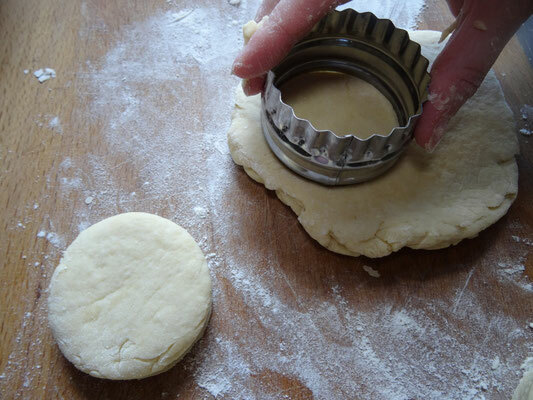 The result is a lovely crispy outside with a perfect fluffy centre! 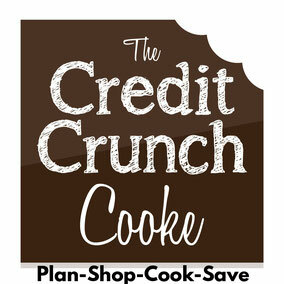 In a large bowl, rub the butter into the flour, sugar & salt with your fingertips until the mixture resemble breadcrumbs. 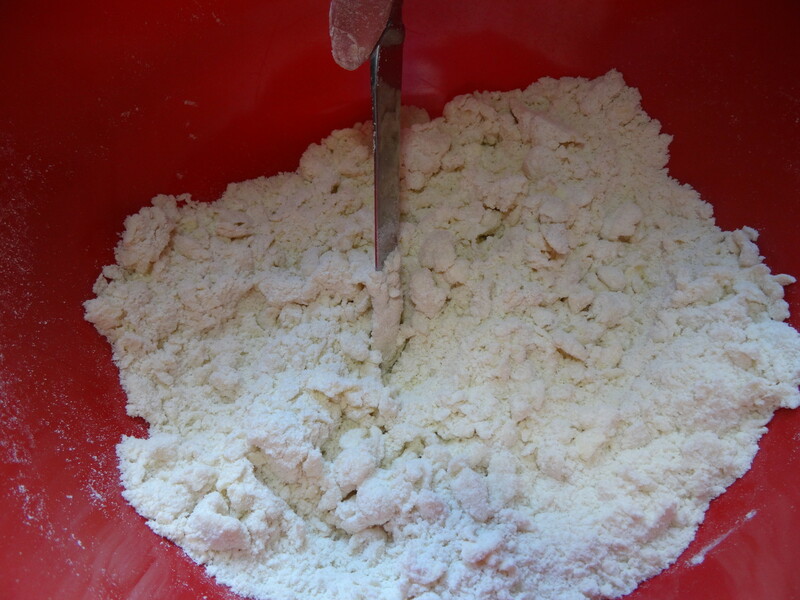 Mix in the milk a spoonful at a time with a flat knife to make the dough. 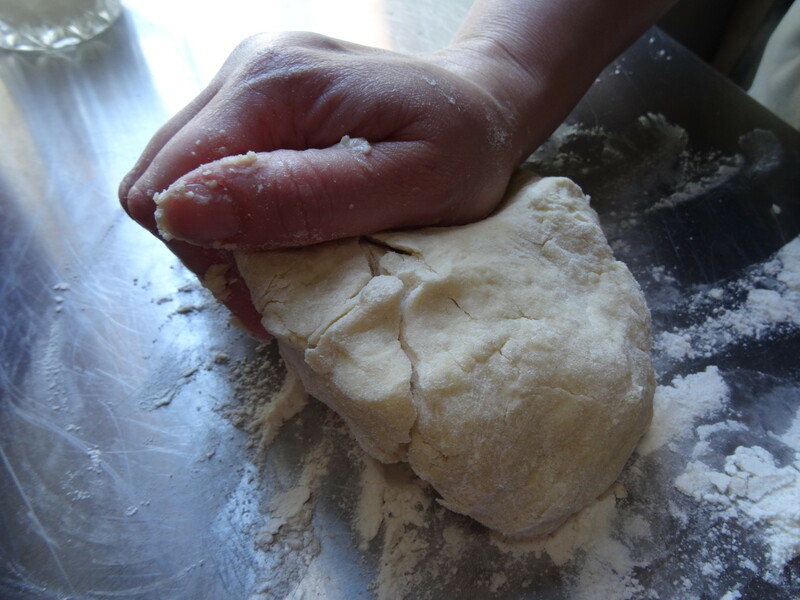 Transfer the dough to a floured surface & knead for 1-2 minutes until firm & pliable. At this stage you can either separate the dough into 8-12 pieces & mould into a scone shape or flatten the dough out to about 2cm thick & use a pastry cutter. 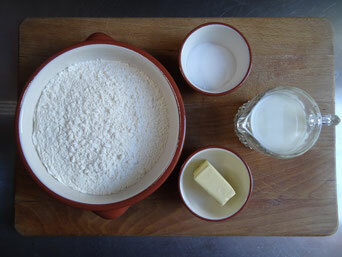 Place the scones on to the prepared tray & brush either with milk or a mixture of egg yolk & milk. 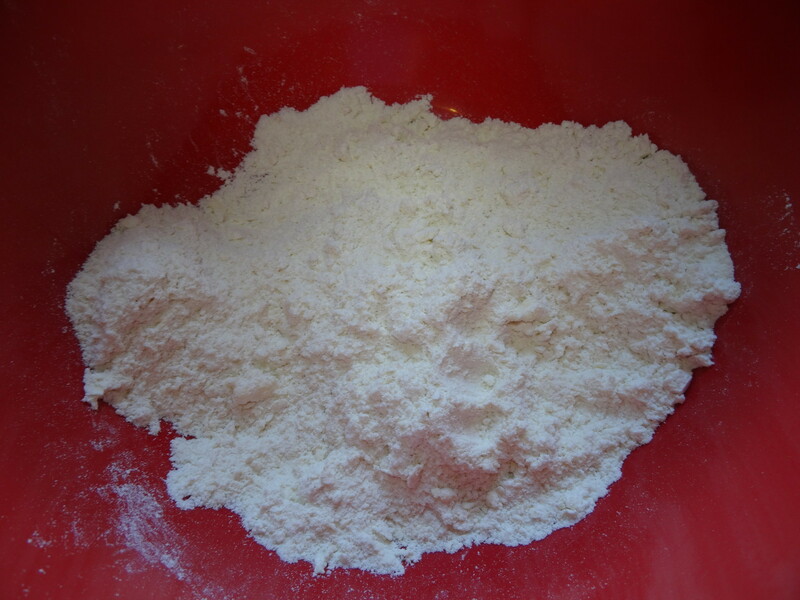 Bake for 12-15 minutes until golden & risen. 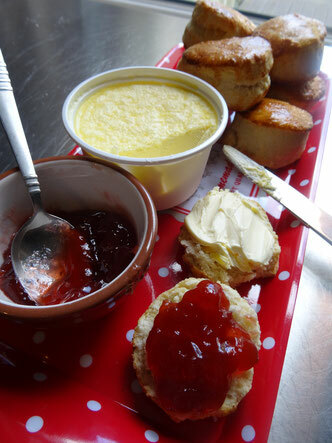 Allow to cool slightly & serve with cream & jam for a delicious afternoon treat!